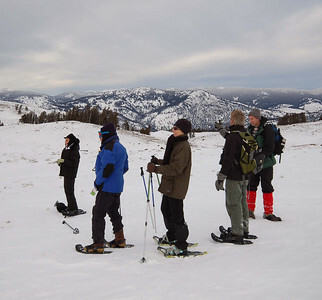 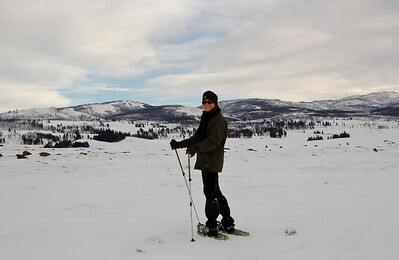 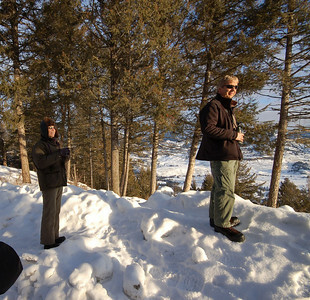 January 13-17, 2008, Yellowstone Association "Winter Wolf Discovery," led by Eric. 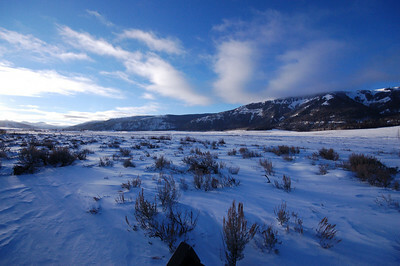 Observed the 16 member Druid wolf pack in Lamar Valley, near Pebble Creek each day. 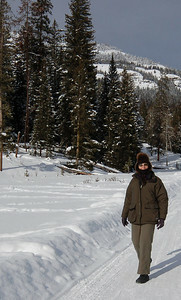 Snowshoed every afternoon, morning temperatures were from 15 below zero to just above zero, light dustings of snow, light winds. 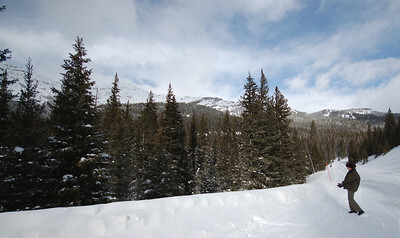 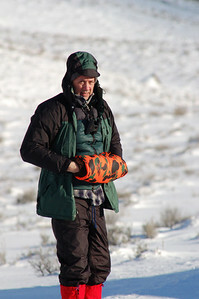 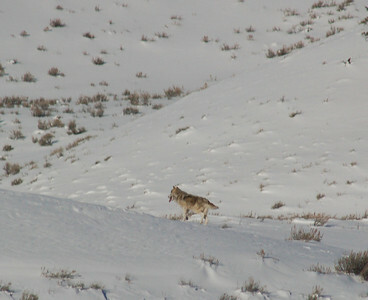 One of the gray wolves being observed during winter of '08. 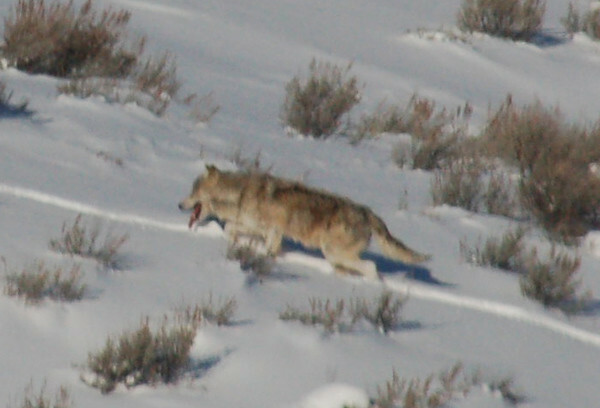 Biologists do not know origin of this wolf and another gray wolf. A black female Druid wolf was being observed in January "flirting" with the alpha of this pair of grays. 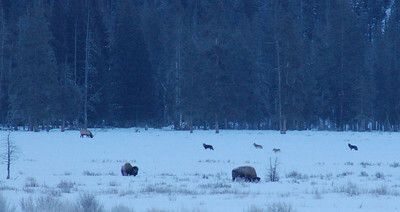 Black female Druid sighted apart from the pack, "flirting" with one the two gray wolves of unknown origin.